A new vehicle emissions test proposed from 2017 could result in BIK tax increases as well as higher costs for employers providing company cars. The new testing regime would provide a more realistic picture of fuel consumption, which the New European Driving Cycle (NEDC) - on which official fuel consumption figures are based - has failed to deliver. Fleet News is reporting that if the proposed change was implemented from 2017, it could force drivers changing their company car after that date to consider downsizing to avoid an increase in BIK tax of up to 35 per cent, as it would also come with an increase in reported CO2 emissions. An equivalent model tested under the proposed Worldwide Harmonised Light-duty Test Procedures (WLTP) could see their tax liabilities increase sharply. It would effectively create a two-tier tax regime, with employers paying significantly more in Class 1A National Insurance contributions and VED, and employees forced into a much higher benefit-in-kind tax bracket for choosing the latest variant of a car they had driven for the past three or four years. It would leave them having to find the extra cash, consider downsizing or choosing an alternatively-fuelled vehicle. It could even persuade employers to ditch company car provision altogether and opt for a cash equivalent. In fact, 64.4% of fleets would forgo real-world figures if it meant they had to pay more in tax, according to a Fleet News poll. HM Treasury and HM Revenue and Customs told Fleet News that they had already announced the rates and bands for taxing a company car up to 2018/19 in order to provide tax certainty for car manufacturers, employers and employees. 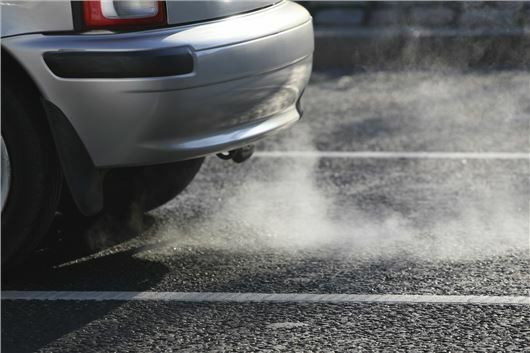 However, failure to address the issue could have a major impact on the car industry, with manufacturers producing new cars not wanted by fleets because their CO2 emissions are too high. Plans for a new vehicle testing regime were first revealed by Fleet News in May, 2011, before the United Nations Economics Commission for Europe (UNECE) unveiled detailed proposals a year later. Several aspects of the current NEDC test have been contributing towards a growing gap between official figures and real-world experience. The procedure doesn’t adequately represent modern-day driving patterns and vehicle performance. The test car briefly reaches motorway speed so ‘highway’ driving is barely represented (see panel below). Air-conditioning, lights and other electrical loads – which increase fuel consumption – are all switched off for the test. Flexibilities and tolerances in the test procedure can also be exploited to achieve a lower overall fuel consumption figure – speed that is within the specified corridor for the test, but consistently just below the target speed will result in lower fuel consumption than a speed that is just above. In addition, the inertia load applied to the rolling road to simulate real-world vehicle inertia and aerodynamic drag can be varied only in subtle steps. A small reduction in vehicle weight, such as removing the standard spare wheel, may be enough to get the car just into the next lowest inertia load band and hence experience lower loads in the test than on the road in the real world. International Council on Clean Transportation (ICCT) research shows that a car is five times more likely to be just under an inertia limit than just over. Stop-start systems will also show a relatively high benefit in a test in which idling is over-represented. The car is stationary for about 10% of the NEDC. The Society of Motor Manufacturers and Traders (SMMT) has acknowledged the current testing regime’s failings, with its previous chief executive Paul Everitt admitting that figures were based on “an average, of an average of the worst possible average”. UNECE gave the green light to the WLTP in March. It said: “WLTP better simulates real driving conditions, with more modern and realistic driving scenarios and considers other widely used factors such as air conditioning and seat heaters that drive fuel consumption upwards. As a result, it estimates that the figures of the fuel consumption under the WLTP would be 10% to 20% higher than those under the current test cycle. The ICCT suggests it could be up to 30% higher. The EU says it wants to replace the NEDC test with the much more stringent procedure by 2017, but the car industry is opposed to such a swift adoption. A report in the Financial Times suggests that the European Automobile Manufacturers’ Association (ACEA) is lobbying for a 2021 implementation date at the earliest. It could also prove costly for carmakers. The EU has set a pan-European sales weighted average new car CO2 emissions target of 95g/km by 2020. Those manufacturers missing the target face penalties of up to €95 per g/km of CO2 over target per car registered. ACEA also recognises the potential problems WLTP could pose for CO2-based taxes.